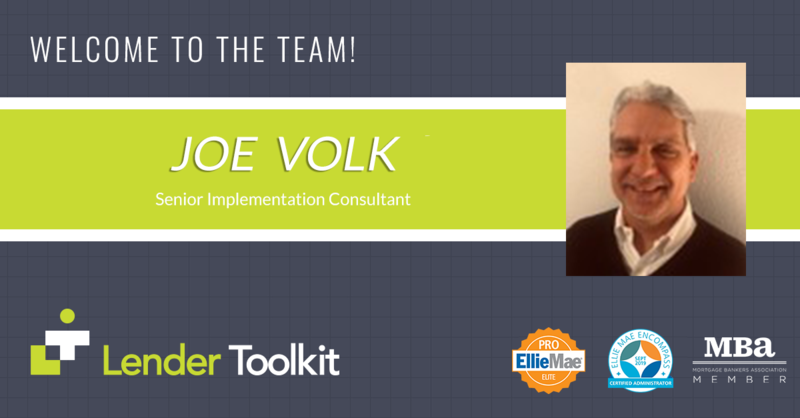 Welcome Joe Volk to the Lender Toolkit Family. Joe brings a vast array of talent and expertise to our team. Joe’s has proven success leading teams to meet business and technical goals through the implementation of systems. Joe has supported his Clients with service excellence in all facets of implementation, system enhancements, productivity and support.